I heard about this book at least a year ago but avoided it like the plague because I knew it would be an emotionally tough read. Curiosity eventually got the best of me and I listened to the audiobook, which is read by the author. Truly an emotional rollercoaster ride, I yo-yo'd from anger to pity to compassion and back to anger with the dysfunctional parents of Jeannette and her three siblings. I had to verbally process what I was feeling with Greg because I wanted to be aware of how I was judgmental of their lifestyle but also needed to explain why I had such a hard time accepting their vagabond, fly-by-the-seat-of-your-pants, chaotic parenting styles and philosophies. Rex, an alcoholic dad who continually makes promises he cannot keep and disappears, cannot keep steady jobs, and becomes manipulative and even steals money from the family to finance his drinking. Then there's Rosemary, a neglectful mom who chooses her painting and reading above providing for bare essentials for her kids and expects them to cook and care for themselves at the ripe young age of three. Ok, yes, that sounds very judgmental of me, but that's all straight out of the book. Walls looked back at her childhood without malice or vindictiveness as she wrote this bestselling memoir (now a film), and attempted to paint them in a balanced way, showing their weaknesses but also their strengths. She credits her independent spirit, resourcefulness, creativity, and overall positive outlook to her parents, despite their many shortcomings. But I still struggle with what I'd think or do if I had children in my office as a pediatric nurse practitioner with these parents. A CPS call would definitely occur (Walls had severe burns requiring six weeks of hospitalization at the age of three after dropping boiling hot water in an attempt to cook hotdogs because she was expected to cook her own food while her mom was painting; the kids went hungry and would scrounge through trash cans at school while Rex drank heavily and Rosemary would sneak chocolate for herself and buy painting supplies with any cash; their nonchalant responses to an attempted sexual abuse incident against two of the children was appalling and deeply offensive; there were hints of domestic abuse; and their family mantra of being "adventurous" often took very dangerous turns). This was my greatest internal struggle with the book: How much of my disdain for the parents lies in my discomfort with their adventure-seeking, free-spirited, and nonconventional parenting style because it clashes with my idea of parenting (which highly values creating a predictable, safe, clean, trusting environment where parents provide and protect children) and how much is it because that line was crossed into outright neglect and inability to provide a safe environment for children to grow? The answer shifted with every chapter. I've been listening to interviews with Walls because her resilience, optimism, and compassion for her parents astounds me. Whereas I think I'd be bitter and resentful, it seems she has worked through a lot of her past and does not blame them. If you've read this book or watched the movie, I really want to hear your thoughts. I hate feeling so judgmental, especially since these parents were not fictitious characters of a novel but actual people. What were your views on them? I hear that her follow-up book is a novel (Half-Broken Horses) is based on her mom's mom and it helps explain the mother a lot more, which I am curious about because I think she's the one I have the most difficulty understanding and feeling any compassion towards. FYI: A LOT of cuss words and a few disturbing scenes (especially for highly sensitive personalities like myself). I love me a good foodie memoir, and this is an exceptional one, especially since it also includes a lot of traveling, another favorite topic of mine to read about. Lia is an accomplished entrepreneur, food writer, and cook. She has struggled through a hefty number of health scares and has learned how nutrition can play a pivotal part in overall health and well-being. 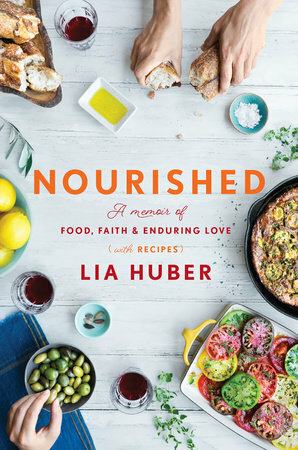 Through soul-searching, adventurous travels as well as seemingly mundane everyday struggles of being a wife and writer as well as confusing and scary diagnoses, Lia extracts deep wisdom about nourishing the body, mind, and soul. From vegetable-heavy chicken soup and cooking lessons for teens from a Guatemalan village who scoffed at the idea of eating chard (and ending up loving it), to watching a Greek family gather around the table and enjoy simple but delectable meals and welcoming her as their own, to a six-month quest through Mexico and South America to learn local cuisine and test-drive the idea of living in Costa Rica permanently, to struggling through the idea of ever becoming parents, to communication blunders between husband and wife, to her spiritual journey towards Christianity, to delicious-sounding recipes at the end of each chapter ... this book was a delight! I love her voice: humble, honest, with an almost lyrical aspect to it without being overly poetic or esoteric. She writes about food with obvious knowledge but also easy-to-understand and approachable for those (like myself) lacking culinary expertise. If you like foodie and travel memoirs with a dash (or two or three) of life lessons learned along the way, this may be on the menu for you! Disclaimer: I received this book for free from Blogging for Books in exchange for an honest review, which I have provided here. I don’t typically read short stories so I wanted to give this genre a try by reading this collection from an author I really admired for both her nonfiction (In Other Words) and fiction (The Namesake). These short stories were interesting but not captivating, which I think is because slow, in depth character development is something I value in fiction and this is not done in great detail in short stories, obviously due to the length restriction. I felt like I was finally starting to understand and like a character and then I’d reach the end of the story. A few ended abruptly, which can be typical of short stories but felt a little awkward and confusing. 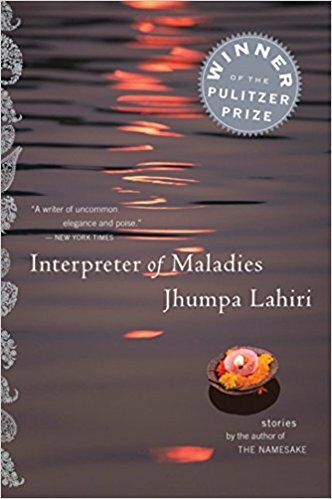 I love that Lahiri writes what she knows — the Bengali immigrant narrative — but it seemed almost all of the stories included MIT and/or Boston and a mention of the Charles River. I think a bit of diversity in setting would have been more engaging for me. The protagonists themselves varied greatly, which was something I enjoyed. My favorite story was the last, about a young man renting a room in Boston from a 103-year-old woman while awaiting his new wife to get her paperwork approved to fly from Calcutta to America. I was never interested in the lives of President George Bush's twins while he was in office. I'd see them in the tabloids every now and then for some underage drinking fiasco but for the most part, wasn't interested. But when I saw this book at the airport a few months ago, I was curious what they had to say. After all, they were born and raised in a political dynasty, so they were bound to have a few larger-than-life memories. 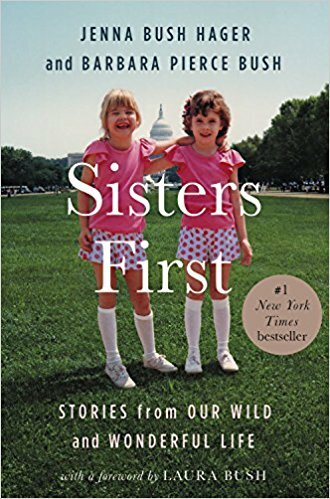 Sure enough, this memoir, told in alternating voices of the twins, is entertaining as well as thought-provoking. I especially enjoyed the personal letters from their "gampy" George H.W. as well as their father, George W., which all were clearly evident of the love these men had for these girls and the ways they sought to protect them from the public eye. I teared up hearing George W. Bush's letter to his girls after 9/11. He was fully aware his difficult decision to enter into war would affect them as they were college students and would surely hear a lot of opposition to his decision on their college campuses. His heart for the troops and later, the veterans, led him to continue his work with them long after the end of his presidency (he recently published a book of his original portrait paintings of selected veterans with proceeds going to aid veterans, called Portraits of Courage). The stories were a bit scattered, organized by topic rather than chronological order, which was a bit confusing but didn't detract from the overall flow of the book too much. Their honesty, humility (as well as humor) in their past mistakes, and inside look living in the White House (including being followed around by the Secret Service during college years) were all engaging and fun to read. The girls seemed down-to-earth and though I typically avoid celebrity memoirs, I was glad I picked this one up. Bonus: The audiobook is narrated by the authors with a foreword (that made me tear up) written and read by their mom, Laura Bush. 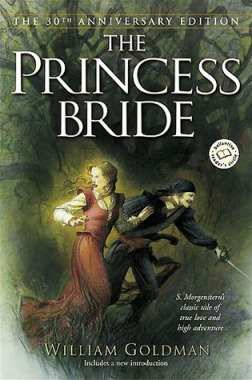 I looove the movie adaptation of this quirky novel and only found out it was based on a book a few years ago, so after reading the fascinating memoir (As You Wish: Inconceivable Tales from the Making of The Princess Bride) by Cary Elwes, who played Wesley in the movie, I knew I'd want to read it. It was hilarious, witty, and lovable, just like the movie adaptation, which remained very true to the book with only scant changes to the overall plot. “Fencing. Fighting. Torture. Poison. True Love. Hate. Revenge. Giants. Hunters. Bad men. Good men. Beautifulest Ladies. Snakes. Spiders... Pain. Death. Brave men. Cowardly men. Strongest men. Chases. Escapes. Lies. Truths. Passion. Miracles.” If that sounds interesting, than you're in for an inconceivable amount of enjoyment. "A man with painful past. A child with a doubtful future. And a shared journey toward healing for both their hearts" (Goodreads). Words cannot describe the beauty and impact of this book to me. I was absolutely wrecked in the best of ways. This is a story of heartbreaking grief, of the heaviness of guilt, of resilience and selflessness, of the power of redemption and friendship and faith. It is a story of the heart, in the symbolic as well as physical form. Poetry and Shakespeare are intermingled with clinical descriptions of cardiopathy in an effortless weaving that I have never encountered before. Many where the passages that I rewinded on the audiobook to hear the depth and masterful sentences over again. At one point, I told myself, "this is a perfect book." Every word seemed to have purpose and weight, every character believable and well-crafted. I cried and laughed and cried again and marveled at how an author could craft such a masterpiece. It is a gem and a new favorite. “If anything in the universe reflects the fingerprint of God, it is the human heart"...It derives no benefit from the blood it pumps making it the most unselfish of organs...it is also the most courageous and faithful." Anne Elliot is twenty-seven years old, but she might as well be ninety by the way her family looks at her as an inconvenience. As this Victorian era novel unfolds, she is reacquainted with the Captain Wentworth, once a poor naval officer who eight years prior had stolen her heart and asked for her hand. The persuasion of those around her convinced her to end their engagement. Now, surrounded by mutual friends who have no idea of what transpired between them, they repeatedly are brought together in awkward situations that unearth old feelings and regrets. 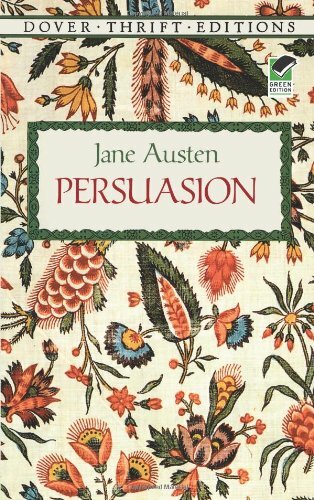 Mix in Austen's knack for creating at least a few absolutely dreadful characters you love to hate (Anne's dad and sisters) as well as her witty observations of the customs of that age, and you have a classic that stands the test of time. It's a bit more depressing than her other books but has a maturity and realness to it that made Anne relatable as well as endearing. The audiobook narrator had a British accent, which was enjoyable. Reuben is an eleven-year-old asthmatic boy living in a small town in the 1960s when his older brother, Davy, commits a crime and escapes jail, disappearing into the night. His nine-year-old sister, Swede, is a precocious, spunky, poetic prodigy, obsessed with penning western ballads about outlaws and bandits. And his dad, Jeremiah Land, is a man of deep faith as well as mystery. These three journey across the Badlands of the Dakotas during a blistering winter in search of their beloved outlaw. Reuben's narrative is vulnerable (he deals with some hard decisions, some of which he makes poorly), hilarious (his friendship with Swede snarky at times), thought-evoking (on faith, miracles, loyalty), and also tragic (his brother is an accused criminal after all). 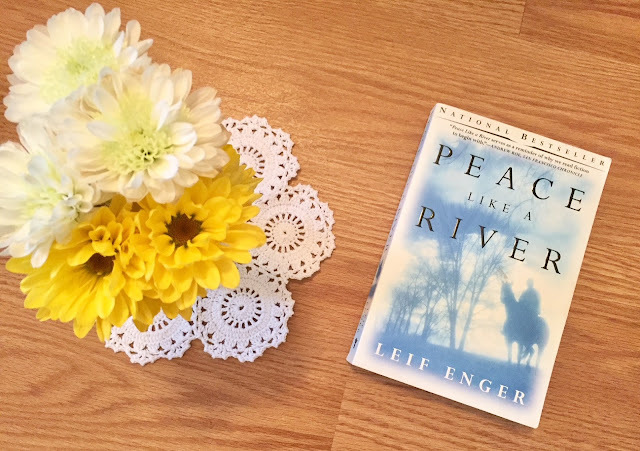 Enger's writing is atmospheric; you feel transported into the frigid cold of the Badlands, rolling along in an Airstream trailer or hiking knee-deep in snow eagerly hoping to find clues of Davy. He also weaves faith, Biblical references, and thoughts about God masterfully without being either preachy nor disrespectful. The only part I wasn't entirely sold on was the mysterious happenings that Reuben witnessed involving his dad that he said could possibly be miracles. It wasn't necessarily woowoo, but gave the novel a bit of a magical realism feel, which I don't typically gravitate towards but worked well for the overall story. I read the ending twice because I was rushing to finish it before heading to work, but then I was blindsided and shocked so I had to go back and read it to understand it. Boy howdy, what an ending! Beautifully penned, tear-jerking, and striking imagery are about as detailed I can get without spoiling anything. If you like stories that deal with touch issues, written from a child's perspective, akin to A Tree Grows in Brooklyn and To Kill A Mockingbird, and if the slow, character-driven, (delightfully) wordy descriptions of literary fiction genre is up your alley, then this could definitely for you. But it may seem slow if you prefer fast-paced, plot-focused narratives. Also, there are a few "trigger" scenes that are a bit gritty and came as a bit of surprise for my highly-sensitive personality, but not unnecessarily or overly graphic. 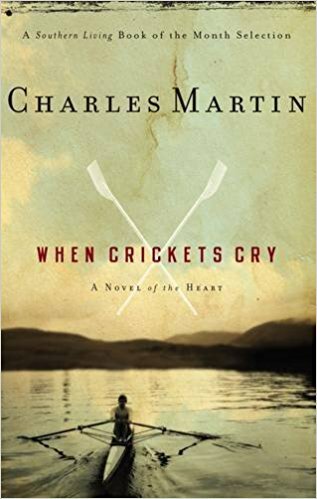 Two alternating stories fill the pages of this short, but powerful, book. One of Nya, a young Sudanese girl in 2008 who, twice a day, carries a plastic on a two-hours walk to fill the jug with water for the family from a pond. That's eight hours of walking (four of which include carrying a heavy jug filled with water)! There's no time for school or entertainment when your whole day revolves around access to water, what for us in America is a mundane and easily accessible commodity. And then there is Salva, a Sudanese boy whose story starts in 1985 when gunshots from nearby rebel armies are heard at school and the teacher tells everyone to run away from the town and into the bush to escape being captured by the rebels. He wanders Sudan for the next months and years in search of his family and ultimately hope of survival along with thousands of other children who would later be known as "the lost boys of Sudan". Their stories converge in a predictable conclusion and the writing seems simplistic and almost geared towards younger readers with the short sentence length and structure. 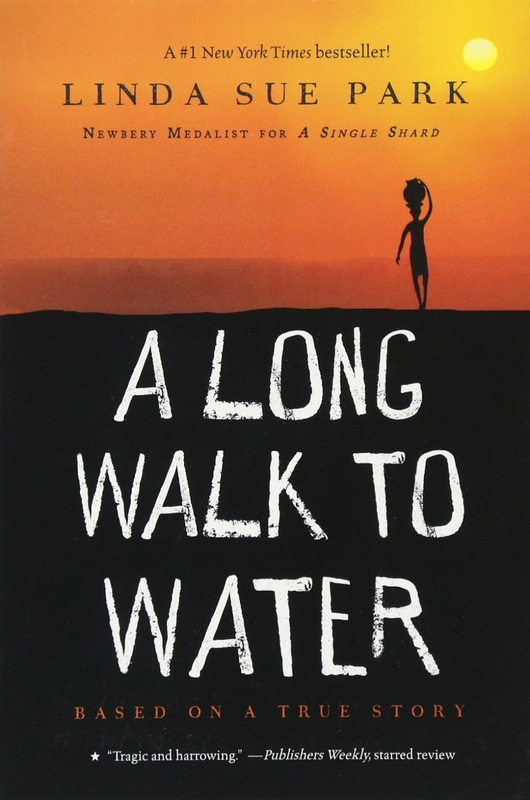 But I had to remember that this book was not about impressive literary devices, but instead, about the experiences of these courageous Sudanese children and the hope for something as simple (yet, literally far-fetched) as a clear glass of cool water. HERE is a video and info about Water for Sudan, which is an organization founded by the real-life Salva, along with an abbreviated story of his life.